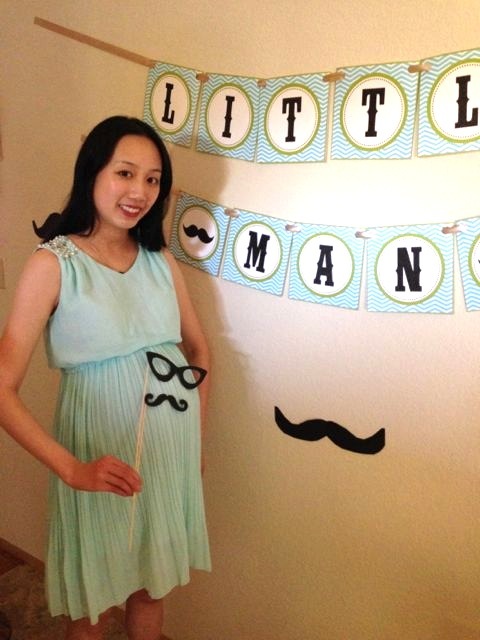 A few weeks ago I had my baby shower. The theme was mustaches! My sister and I made our own invitations, gift bags, party games, cupcake toppers and banner, with the help of some online printables. 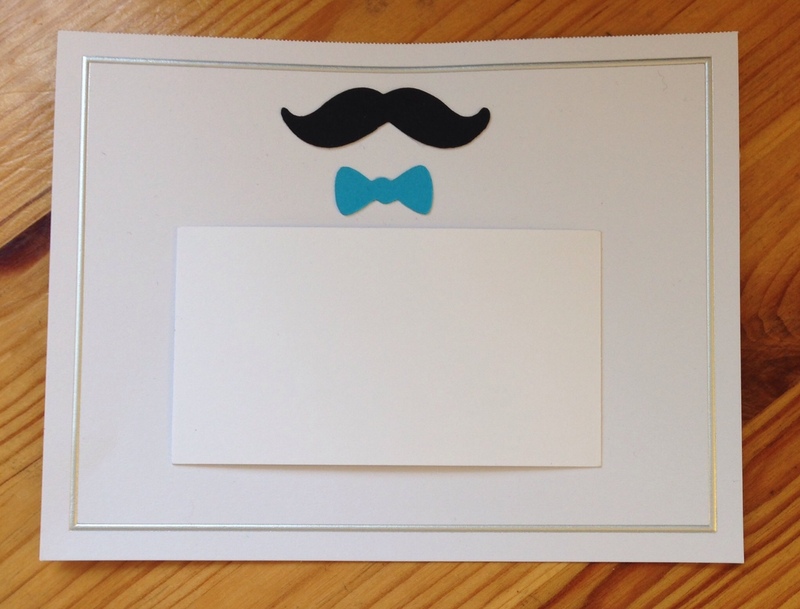 We bought printable cardstock from Staples, which had little silver borders, and glued on little paper cut-outs of mustaches and bow ties from Etsy. Here’s a picture of the finished invitation (with a little card covering up my personal details). 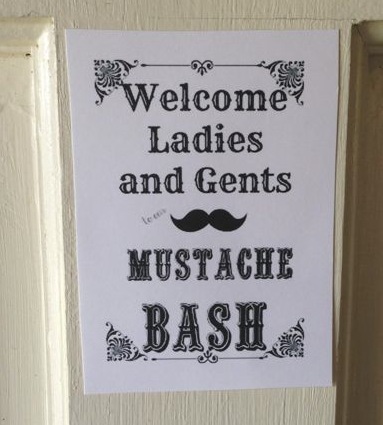 Our guests were greeted at the door by this sign, which you can get at the With a Grateful Prayer blog, along with some other neat printables from the mustache party she threw for a family member. 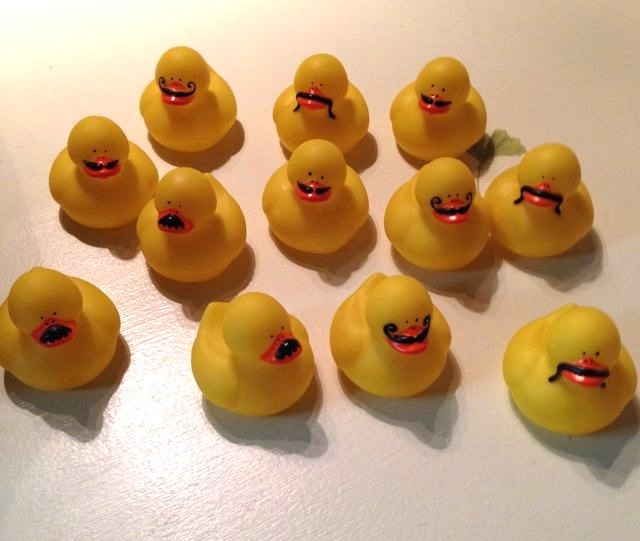 Our food table was decorated by little rubber duckies with cute mustaches, that we got from Oriental Trading Company. We also put ducks, chocolates and mustache-shaped gummy candies into the goodie bags we gave each guest when they left. 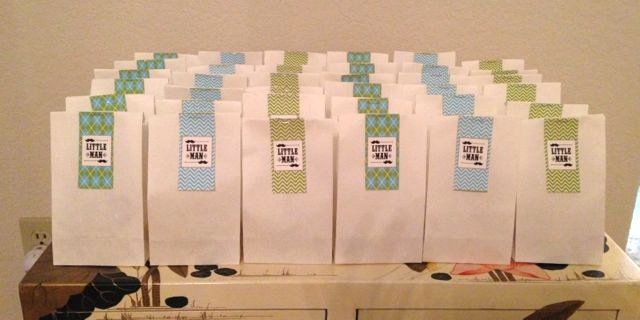 We got little white paper bags from Amazon for the treat bags, and printed out treat toppers that said “Little Man.” (You can get your own at Printabelle). We had a matching green and blue banner (also from Printabelle), and I cut the large mustaches free-hand out of black cardstock. 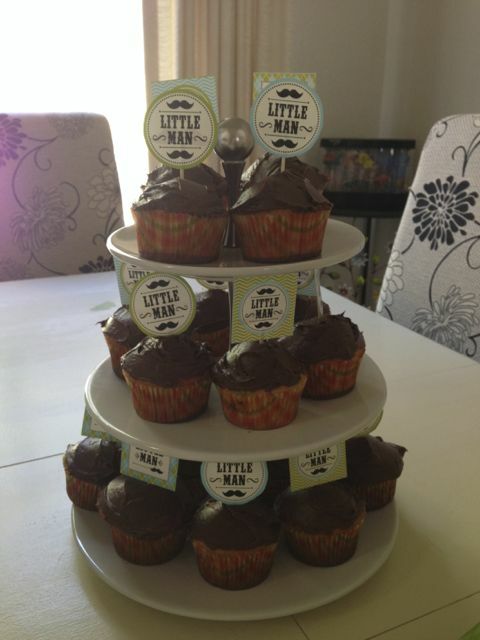 The matching cake toppers were made by sticking printed squares or circles onto toothpicks with little mustache stickers. (We also had catered Mexican and Chinese food and leftovers for days). 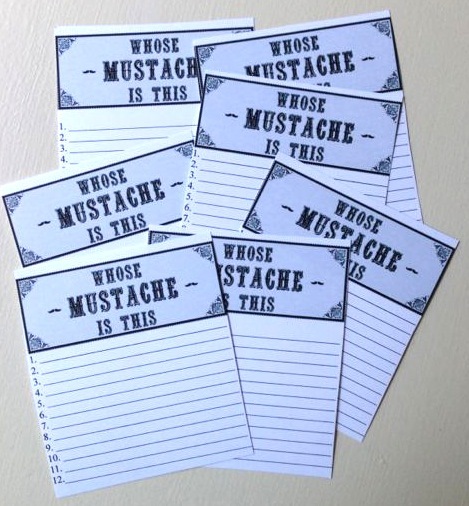 We bought the mustache stickers at Oriental Trading, and they came in super handy! I ended up using them to also decorate the bingo game cards, prize gift bags and seal my thank-you card envelopes. 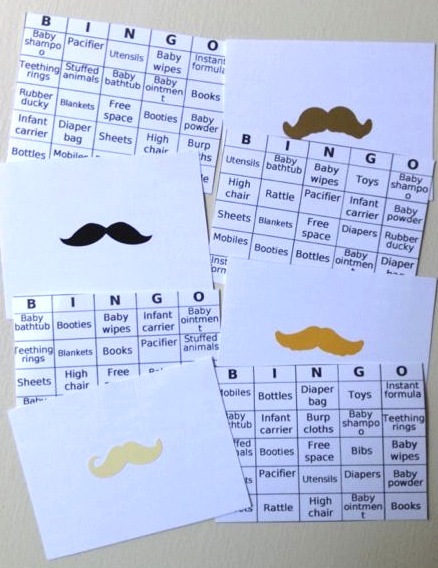 The bingo cards were made by customizing a word list and using the generator at Print-Bingo. 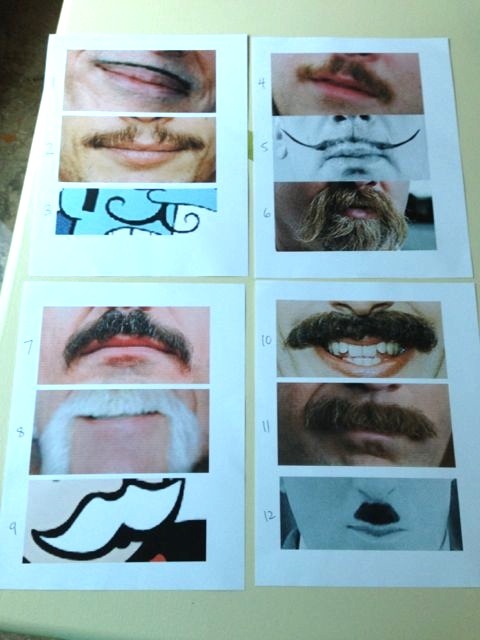 We also had the guests guess celebrity mustaches. I made these cards on my computer but the graphic across the top is from the With a Grateful Prayer blog. The mustache pictures I found by Googling. (They are John Waters, James Franco, Snidely Whiplash, Robert Downey Jr., Hulk Hogan, the Monopoly Man, Ryan Gosling, Salvador Dali, Jamie Hyneman, Borat, Ron Burgundy and Charlie Chaplin). We also had fun paper photobooth props, with different colored mustaches, lips, glasses and hats from Bebop Props. 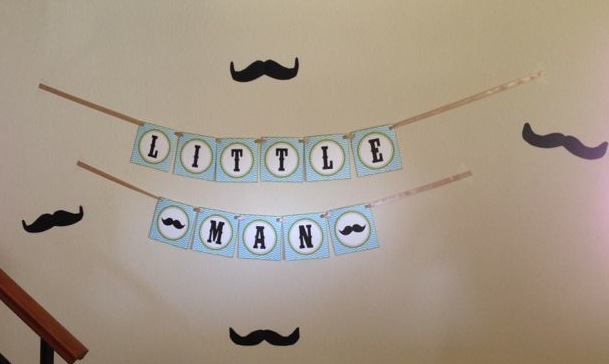 Posted in Nursery and tagged mustache, nursery, party. Bookmark the permalink.